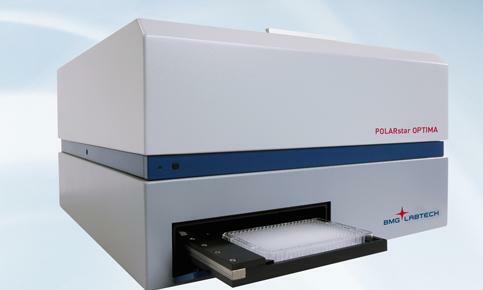 Duke researchers used used a commercially available instrument called the Polarstar Optima from BMG Labtech for vapor odor detection. Researchers at Duke University have created a machine that can smell target odors, such as drugs or explosives. Hiro Matsunami is a molecular genetics and microbiology professor at Duke. He conceded that the drug- or bomb-sniffing dogs are pretty good at their jobs, but there are downsides. "Training dogs is pretty expensive and time consuming, and the dogs are not always motivated and available in many places," he said. The Matsunami Lab has developed a device which uses live smell receptor cells from mice. "Mice are also olfactory creatures, like dogs. So mice are probably as good as dogs when it comes to smelling, but dogs are also something we can train, so we use dogs in the airport," Matsunami said. But he said there's potential for this technology. "What we are hoping from this type of research is to use the receptors or sensors that are being used in the nose to devise something other than the real animal to do the same job, and this is really a baby step towards that goal," he said. Matsunami said this so called "robo-nose" still needs to be made smaller, faster, sturdier and more senstive before it's used in public. Their study was published in the journal Nature Communications. Researchers at Duke University are developing radio wave scanners that could dramatically increase the speed at which travelers are checked at security points in airports. The scanners, which researchers say could be tested in as soon as 12 months for airport use, were one of the developing technologies that scientists showed three North Carolina congressmen in a tour yesterday of laboratories at Duke’s Department of Electrical & Computer Engineering.